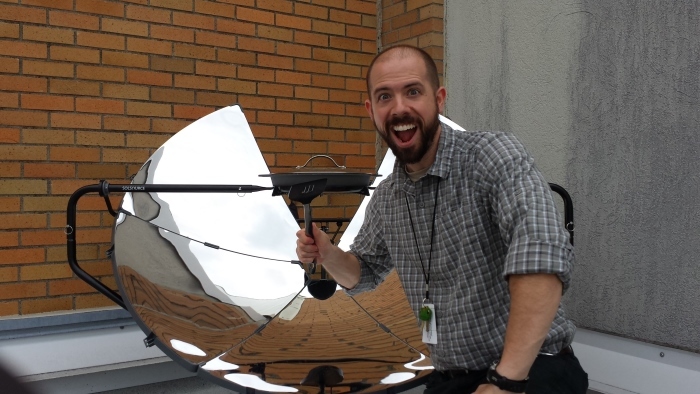 Hi, I'm James Wampler, the Solar Cooking Kentucky Science Teacher. I am a middle school science teacher in Shelbyville, Ky. Working with solar cookers is part of a larger plan to investigate practical and thoughtful ways to use engineering to reduce human impacts on the environment. Understanding Human Impacts is a big part of the Next Generation Science Standards (NGSS) and I would like to be able to build a knowledge base of my own so that I can speak from experience when I teach. Because some of the best learning occurs through projects, I am also using the solar cooker at school to build support and interest among the staff so that every subject can be integrated into a “end-of-the-year reduction of human impacts” project. Welcome to my "Solar Cooking Kentucky Science Teacher" page here at Cantinawest. 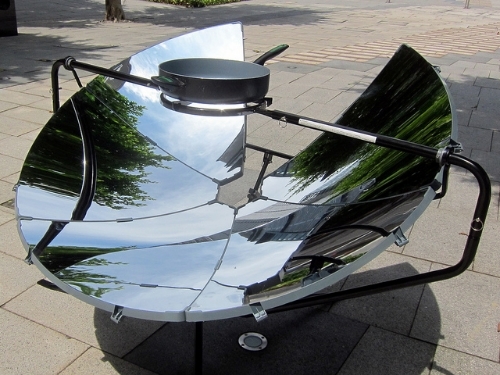 Hope to teach you a lot about solar cooking. How about YOU? What have you learned with your particular solar cooker(s) that makes you effective with it, and what advice and ideas would you share with others? More cooking in the snow! Copenhagen pt 2 Magnets. Magnets everywhere!